We all know that one dog: the fast eater. This dog eats extremely fast, so fast it makes you wonder whether he is actually chewing his food or impersonating a vacuum cleaner. Dog owners frequently ask the Action Petz team how can they stop their dog from eating too fast. In most cases, the response will certainly be: ditch the traditional dog bowl and embrace creative feeding! 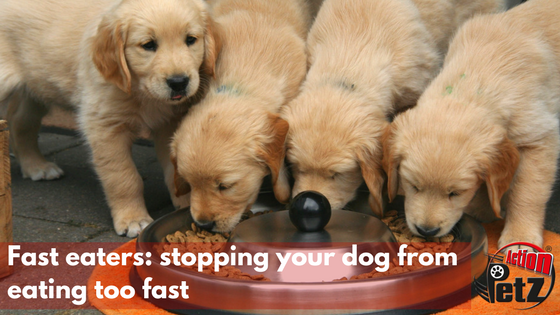 Why is eating too fast dangerous for a dog? Firstly, we need to consider that a dog that’s eating too fast might not be chewing his food properly, making it harder to travel down his digestive tract. In addition, we need to consider that “inhaled” food might cause choking. In some dogs, fast-eating also causes them to vomit their food, which in turn means you’ll need to feed your dog again! Speed-eating might be not great for your dog’s health. However, there’s no need to panic. The good news is that it’s easy to discourage this behaviour! The alternatives are unlimited and suitable for all budgets. It’s time to ditch the bowl! First things first: supervision and separation! 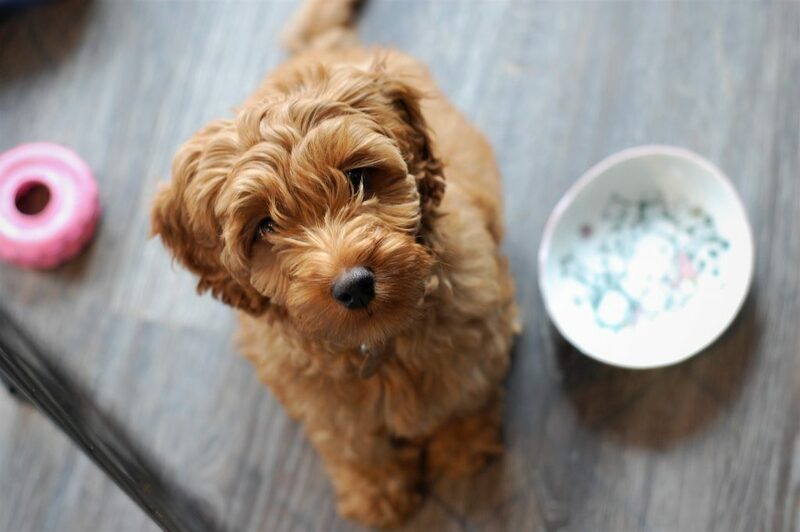 If you’re planning to slow down your dog at meal times, it is important to remember you must supervise your dog. An unsupervised and “very willing” dog might try to get to his/her food a little bit too hard, causing a bit of chaos as a result. In addition, homes with multiple dogs need to exercise caution; the recommendation is to always separate the dogs to prevent any issues. These bowls are designed to make your pooch work a little harder for his food. The majority of these bowls feature protruding sections, compartments and different types of barriers. As a result, your dog wont be able to take large gulps of food. Most food puzzles feature a series of compartments where you hide food. Your dog then needs to figure out a way to solve the puzzle to obtain his meal. These toys normally consist of plastic balls you can fill with your dog’s dry food. The only way for your dog to get his food is by pushing the toy along the floor, slowly releasing the food. Another great alternative is the Kong Wobbler, a treat release toy is a that sits upright until pushed with a dog’s paw or nose, then dispenses treats as it wobbles, spins and rolls. Compared to the options above, this one couldn’t be easier! There’s no equipment needed. All you need to do is to scatter your dog’s food around the floor or the garden. This encourages your dog to eat smaller quantities while using his super nose to find the last bits of food. Bottle dispenser: put the food in a dry and empty (ensure you remove labels, caps and cap rings) large water bottle. You can then drill a few holes and let your pooch figure it out. Spinning dispenser: if you’re feeling a bit craftier, you can make your own Spin-out dog treat game. We have used this at our day care and the dogs love it! Snuffle Mat: the snuffle mat is essentially a rubber mat tied with lots of fabric. The way it works is by scattering your dog’s food between all the bits of fabric. You dog will then have to use his nose to find the food, therefore slowing down the eating process. You can read how to make your own snuffle mat here. Alternatively, you can find online pet shops with ready to buy snuffle mats. Cereal boxes: if your dog loves to rip stuff apart, you can use this method. Simply put your dog’s food inside the empty box and close it with masking tape. Now blissfully watch your dog destroy the box! As we briefly mentioned in one of our older posts, dogs benefit from brain training, certainly as much as they do from physical exercise. 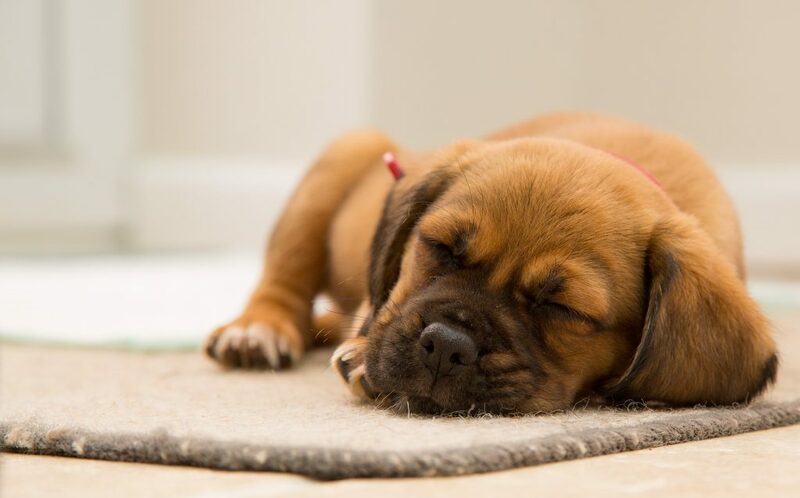 In fact, Dr Ian Dunbar (one the best regarded force-free dog trainers in the world) argues that mental exercise is, in fact, more tiring for a dog than physical exercise. To exemplify the concept above, think about this: would you be happy if your only activities were to eat, sleep and go for a walk every day? For the rest of your life? This means no reading your favourite books, not watching TV, not learning anything new…just eat, walk and sleep. By the end of the week most of us would be rather bored, consequently we will start yelling at the postman, tearing the wallpaper off the walls and trying to eat our own body weight due to boredom! Sounds familiar? That’s right, your dog gets bored as much as you do! The feeding techniques above also have the effect of making your dog’s brain work, trying him in the process and making him less prone to mischief. With all this in mind, it might be time to retire the old food bowl. You will help your dog not just to eat slowly, but also be smarter! 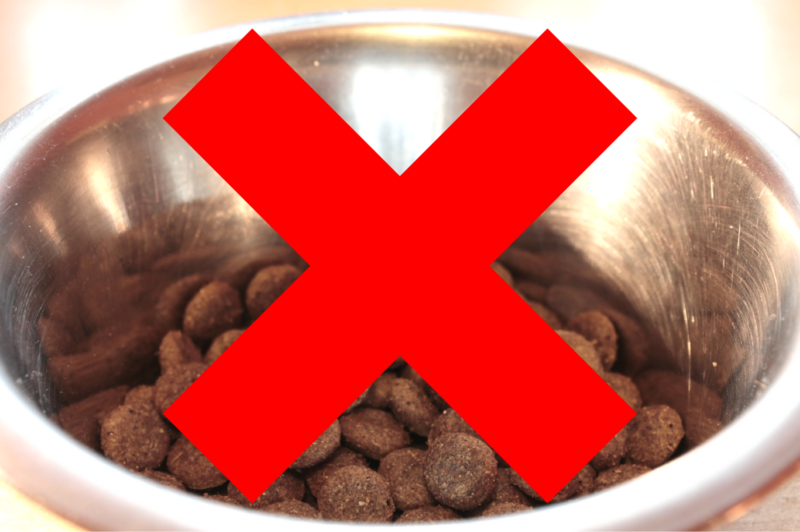 The Bark: tips to stop your dog from eating too fast. The Modern Dog Trainer: Mental Stimulation Ideas for Dogs. Pet MD: Controlling Your Pet’s Eating Behavior. Blue Cross: Bloat in Dogs.